Let this Emanuel Berg shirt shine in your smart casual outfits. Wear it with jeans or under a blazer - you decide. 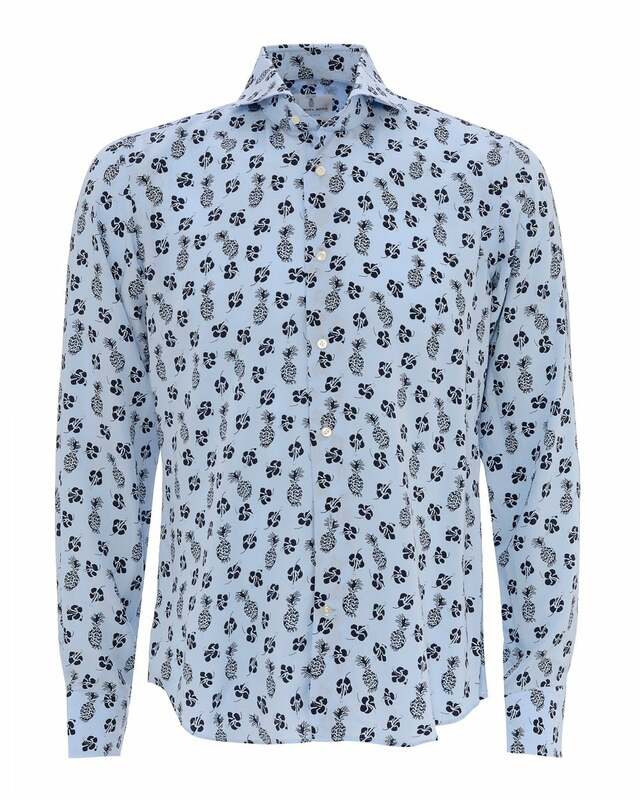 This shirt features a pineapple and flower pattern that will make sure everyone notices what you're wearing, while still boasting a sky blue colour versatile enough to be matched with most formal outfits.